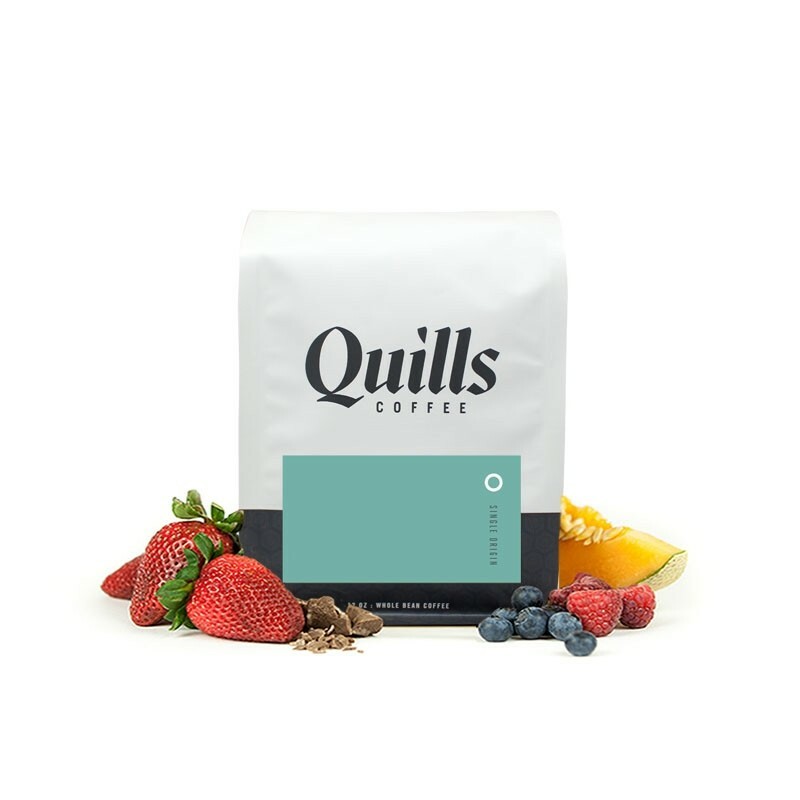 The Papua New Guinea Ulya was carefully roasted for you by Quills Coffee. This fully washed coffee was sourced from the growing region of Waghi Valley, Western Highlands in Papua New Guinea and was produced by the Ulya Mill between 1,400 - 1,800 meters. The cup has a rich baked good sweetness of butter cookie and cheesecake with a tart plum acidity. I'm not sure what was up with this coffee but I think it nearly broke my hand grinder. I would have given the third star but there was something up (in my opinion) with these beans. It looked and felt at times like it wasn't completely dry beans. I did enjoy the flavor notes. Color was a very creamy brown. This would have a been a three star but the grinding process felt off for me this time around with this. Delicious earthiness and just a bit of funk that I loved. My favorite coffee so far! This coffee was probably the best we have had. We were a little apprehensive at first as plum and cheesecake are not typically flavors we associate with coffee, however, we found the cup to be nearly perfect. The cheesecake flavors are subtle but unmistakeable and the cup lingers with a butter cookie-like sweetness. Prepared in both v60 and Chemex, preferred the v60 as the Chemex flavors were too subtle. Was a solid brew. Not as impressive as the other coffees on my queue. Very mild flavor. Not as citrus forward as I would like. Didn’t love it. Tried two brewing methods and couldn’t get good flavors. Smooth and sweet. Inviting while still maintaining complexity. Pleasant cup - better as it cools.